I graduated college in the early 80’s with a degree in finance. Although I didn’t recognize it then, I completed my studies during a very unique time – interest rates reached incredible highs and the stock market plodded through an extreme flat period. While taking one of the required courses for the finance curriculum, Money Markets and the Economy, the prime interest rate reached 21.50%, an all-­time high, and the 1965 Dow Jones close of 969 was not permanently eclipsed until 1982. Shortly after graduating, I took a job as a representative in a large institution concentrating initially on life insurance planning. I learned a great deal from experienced advisors in my firm. I worked hard, devoured all of the training material that my firm offered and over time earned numerous securities licenses – Series 6, 63, 22, 7 and 24 so that I could also offer other investment products. I was qualified to manage an office of securities reps. Now, after a little more than three decades, I have made the decision to abandon the traditional methods most financial advisors follow and let my clients know where I believe we went wrong! Why? Because I no longer believe that the solutions and typical advice provided by the big institutions allow me to do what is in the best interests of my clients. To give you a peek behind the curtain, let me tell you what it's like in a typical financial planning office. Clients come in with questions: "How much do I need to save?” "Where should I invest?”; "Will I have enough money to last?". In turn, they are asked Questions: "When do you want to retire? "; "What kind of income and lifestyle do you want? "; "What's your risk tolerance?” and twenty more questions that clients often have no way of accurately answering from where they sit. How can they possibly anticipate huge stock market crashes, divorce, or spells of unwanted unemployment? 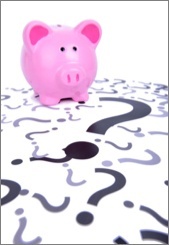 To answer the questions, the client guesses when they might want to retire, how much they can save, and so on. Then, advisors make guesses and assumptions about how much their investments might earn and what future costs, taxes, and inflation might be. Next, all of the guesstimates get plugged into a computer. Using the firm's impressive number‑crunching, graph-­generating software, impressive full-­color illustrations are created, and a "financial plan" is delivered to them in a beautiful binder. The people who receive these feel reassured that they are "on track." They say thanks. They start writing checks. And the management at financial firms are happy! But it is pure guesswork. It is an insane system, all based on enormous assumptions. The questions and answers help build relationships and create trust with the client, but does the industry deserve their trust? It's absurd to imagine anybody could actually predict their future income, along with taxes, inflation, their children's college plans, and the market! When do assumptions hold true for 25, 30, 40+ years? Who hasn't had their "best-­laid plans" disrupted by realities they didn't see coming? Often a bit nervous about the future, most clients are relieved to get advice and follow recommendations willingly...even if the recommendations mostly consist of putting money in the stock market every month and hoping it all works out. I know deep down that this industry cannot guarantee the financial success of these clients any more than I can guarantee the weather. Very diligently, over the last five years plus, I have searched for better alternatives for the clients I serve and several times when I have found great solutions I have been told by firms “you can’t offer that” or “we can’t offer that.” I have reverted back to what I remember my children asking me at 2 or 3 years old. Why? And Why not? (Something you should get used to asking). The answers I have gotten from my “why’s and why not’s” were far from satisfying to me and simply fueled my desire to find more practical solutions. I just couldn’t endure the status quo with typical Financial Planning strategies any longer. What you will discover in this e-book are the reasons I am turning my business model upside down. It is also an introduction to Prosperity Economics, which is a true alternative to Financial Planning. Prosperity Economics is a set of principles, philosophies and strategies that work, and are used by many wealthy people. Your banker and financial planner will never tell you the information I’m about to share with you. They probably don’t even know it – or understand it to begin with. (And let’s be honest, most people doing “financial planning” are essentially sales people.) Financial Planners and many financial representatives may be well educated and they may have letters after their names (I do, and I studied hard for them). They may even charge a fee for their advice (in some instances – so do I – and it’s not cheap!) But they’re operating from a skewed limited perspective, which is what I had to come to terms with. I have come to realize that most financial advisors are caught in a similar quandary! They are taught to believe in (and not question) the products and strategies included on their firm’s menu and not taught that there are other options. Better options. I was curious and willing to search and believe I have discovered some of those better options. They are the principles and strategies that have helped people build sustainable wealth for many decades, even centuries...long before “financial planning” even existed. First, I encourage you to read this entire e-­book, right now, or at least within the next 24 hours. Whether this perspective is new to you or whether it’s just a reminder of what you already know, I encourage you not to let the price of this information (it’s free!) dilute its value. Secondly, I ask that you keep an open mind. If the information you read contradicts with what you believe or know, try the ideas on, do your own research, and consider if there might not be other options worth trying, other than “typical” financial strategies and advice. Finally, please don’t “just” read the e-­book. Take action. Your future might just depend on it. Do something to move you up the prosperity mountain. It’s a journey worth taking! The 7 Principles of Prosperity that act as an “opportunity filter” to make decisions about financial products, strategies and investments. Where my private clients invest for cash flow income. This investment is secured with high quality assets and the returns typically far exceed what CDs, annuities and bonds are paying. A little known investment that often produces double digit returns while being completely immune to market crashes, economic downturns, interest or bond rates, real estate prices or politics. One of the most popular posts of all time; describing famous “stock picking” experiments and contests. Who wins, the monkeys or the money managers? The Banker’s Secret – where banks and many corporations put their money (while telling you to do something else) where it can grow many times faster than bank rates with greater safety, and in some cases, can be protected from income taxes, capital gains taxes, liens, lawsuits and more. Why “saving too much in all the wrong places” might leave you with very little financial flexibility, and why financial flexibility is essential to your financial security and stability. Do your savings and investments pass “the leverage test?” Find out why they should! The truth about qualified plans and where up to half of “your money” may be disappearing to. Is gold the answer to inflation and economic instability? Our answer might surprise you. Why “buy term and invest the difference” doesn’t add up and how those “high” life insurance commissions might actually SAVE you a small fortune in the long run! The difference between “average” and “actual” rates of return. If it seems your investments never grow according to projections, this is one reason why. The inconvenient truths about some types of life insurance that insurance companies would prefer you didn’t have the whole truth about. Watch your e-­mails and check your promotional or spam folders if you don’t begin to see e-­mails from me. (I don’t want you to miss out on the resources!) 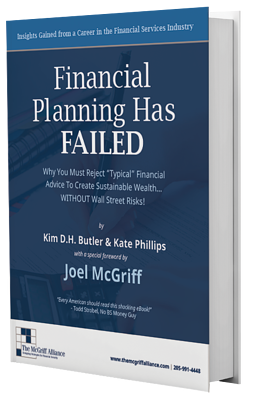 And if you read this e-book and decide that Prosperity Economics makes more sense than typical financial planning, I’m going to invite you to contact my assistant and book an appointment for a no-­cost consultation with me. If you’re tired of crossing your fingers and hoping that the stock market doesn’t crash, but don’t know what else to do, we may just have the answers you’re looking for. The tag line for my firm is Designing Strategies for Financial Security and we want to help you achieve true sustainable wealth without having to rely on Wall Street, Big Banks, the government, or a bull market. What matters most to you? The answer will be different for each of us, and yet there may be no more important question that we will ever ask of ourselves and those we love. When I asked myself this surprisingly powerful question, it transformed the way I looked at my family’s future. And it also changed how I thought about the ways I could help my clients and their families to identify, design for and achieve what mattered most to them, in their own lives, both today, and for generations to come. Typical financial planning and advice has failed us. I entered the field of financial planning with gusto, optimism, and the enthusiasm of a true believer. At first, financial planning was exactly what I had hoped for – a chance to be successful through helping people financially. But over time, disillusionment set in. Financial planning sounded like a good idea, and it's certainly much better than nothing! But as I learned, it was all based on best guesses, assumptions, unfounded optimism and mathematical half-­truths. why speed trading has made today's market more volatile than the stock market our parents invested in. Furthermore, investors are encouraged to defer taxes without seriously considering the potential impact the deferrals will have when they actually spend "their" money. Behind the scenes, those of us who were paying attention began to realize that the real numbers rarely added up to the projections. In many financial planning environments, planners are taught how to tweak the numbers to make financial plans "work." Typical planners and brokers might use average rates of return of the stock market because the actual rates of return (which are lower than the averages) don't look as impressive. The time frames used to calculate past market averages are carefully selected to show the stock market in the best light possible. Illustrations are run that don't account for all of the fees. Or taxes. Or realistic rates of inflation. Or investor behavior. Or the client's true potential longevity. As the expression says, "The devil is in the details." That is certainly true with typical financial planning and advice. The fancy graphs and charts giveth, and the fine print taketh away. It's time to tell the TRUTH about financial planning, retirement, and the markets that we think will save us. The TRUTH is that the suppositions of financial planning are based on a combination of guesswork, mathematical projections, and wishful thinking. The TRUTH is that even when people believe they are "on track," they are generally under-­saving. The TRUTH is that even millionaires who have followed typical financial advice are now afraid to spend their principle for fear they will outlive their savings. The TRUTH is that most people only have enough in savings to live the lifestyle they've grown accustomed to for a decade at most before they become dependent on the government or their family. The TRUTH is that most "typical" planners and brokers cross their fingers and pray that the stock market doesn't crash, because they don't know what else to do. But the problems go even DEEPER than unrealistic expectations and optimistic math! The TRUTH is also that financial planners and advisors are financially REWARDED when they convince clients to put and keep their money at risk! Conventional wisdom says, "Get a good job and max out your 401(k)," but that is rarely how wealth is built. The focus is put on accumulation, even though people must LIVE on cash flow. People are told to pay cash for their cars and prepay their mortgages early, instead of putting that extra cash to work for them to build cash-flowing assets. Retirement is assumed, instead of the possibility that people might be passionately productive at any age. Then there's "Plan B" – when unexpected life events derail even the best of plans. When the job or the stock market or the marriage or the rental house don't go according to plans, people need money. And when people need money, they typically raid their 401(k)s or IRAs, incurring penalties, income taxes at an inopportune time, and even backend sales fees. And retirement accounts make poor, inefficient emergency funds. Ironically, the best-laid financial plans sometimes make people LESS prepared to weather a financial storm! According to Bloomberg.com, nearly 10% of Americans with retirement accounts are finding it necessary to cash part or all of their accounts out early, to the tune of $57 billion in 2011 alone. The fact is, "Planning" of any kind can be a joke, because when does everything go as planned? What's the saying – "Man makes his plans, and God laughs." So true! Financial planning just didn't work! While it may be better than nothing (though you could argue that false security is worse than insecurity), the fact is that it's a broken system. And to keep following the same advice and doing the same things and expecting a different result is simply... insane. What's so wrong with typical financial advice anyway? Let's explore some of the common problems with typical financial planning and how Prosperity Economics offers an alternative investment path. Typical financial planning assumes that you will lose money, and that the more you're willing to lose, the faster your portfolio is likely to grow. But is this true? We have been conditioned by risk assessment profiles to think "safe" or "predictable" equals a low return on investment, and high risk equals high reward. But perhaps... the more we're willing to tolerate losing, the greater chance we have of loss! We're conditioned to believe we must take bigger risks if we want a chance to earn higher returns, but again, is this true? Or are there alternatives to stock market risks or cash equivalents that grow at a snail's pace? Typical financial advice presents limited options. Essentially, the questions on the risk tolerance forms are asked to determine the appropriate ratio of stocks vs. bonds, as if stocks and bonds are the best, or only, valid investments. My own personal risk tolerance is zero, I have no tolerance for losing money, mine or my clients. Unless you have the ability to earn and save (or perhaps inherit) very large sums of money, typical financial planning offers you no options to grow your money other than to place it in the Wall Street Casino and roll the dice. When it comes to your future and your hard-earned money, do you really want to rely on speculation, hoping that shareholder prices rise instead of fall? Or...would you prefer investments with predictable gains secured by real assets? Prosperity Economics demonstrates that investments secured by assets such as commercial real estate or life insurance policies (which can be bought and sold much like a real estate deed, as well as purchased as a policyowner) can provide a true alternative – or diversification – to the stock market. Ulcers not required. The Money Managers vs. the Monkeys. The great majority of stockbrokers, money managers and financial analysts alike were SURPRISED by the stock crash of 2008, the biggest decline in many decades. This fact ought to raise serious questions about what investors are paying fees for in the first place! Furthermore, the ambush of the 2008 stock market crash should call into question what the role of a financial advisor should be. Since few planners are effective financial psychics (nor should we expect them to be), perhaps they ought to be directing us to investments that aren't so volatile in the first place! While it may seem logical for the financial experts among us to protect our money, we shouldn't expect the financial corporations that make billions from Americans risking their money will lead that change. Prosperity Economics does not rely on speculation and guesswork, but on proven vehicles that make sense. Returns are predictable, at least within a range, and investments with a substantial possibility of loss are not recommended. You're made to feel like you're doing something "risky" or even foolish if you insist on controlling your own money! But is it really risky to insist on providing your own financing, starting a business to build your own income, or buying assets you can see and understand? Never mind that the historical safety and performance is often BETTER for Prosperity Economics strategies than the investments the financial corporations are trying to sell you... After all, your inner skeptic may ask, if these alternate investments actually worked, wouldn't everybody be using them? We've been conditioned to be skeptical towards the financial choices that actually make MORE sense, but not to question the options that offer investors poor or unpredictable results. "If everyone else jumped off a cliff, does that mean you should, too?" Prosperity Economics relies on what WORKS, not on the most popular strategies or the easiest products to sell. In fact, sometimes we have to work HARDER to sell the BEST products, because the financial media works over-time to convince you that it's NORMAL and NECESSARY to keep your money at risk! If you follow the admonitions to "max out your 401(k)" or other government-­approved qualified plan, you're actually losing control of your assets to the government, the stock market, and the rules of your employer. You defer income taxes until retirement (when you can afford it least), give up what could have been lesser capital gains taxes, and pay layered and overblown management fees which drain enormous amounts of money from your retirement plan. Just how much will you pay in fees and taxes? As I explain and illustrate in depth with Truth Concepts financial software in Chapter Six of my book, Busting the Retirement Lies, you will likely pay more in income taxes than your total contributions to your retirement plan! This is because deferring taxes in a qualified plan means that you'll pay taxes on the harvest rather than just the seed. It is true that by putting pre-­tax dollars into a qualified plan, you'll have more money growing for you (and the planners and managers who skim fees from it each year, along with the government that waits for its share), but you're running the unnecessary–and likely–risk of higher taxes in the future. It also means that you'll get hit the hardest if you have to withdraw money in a down market. This typical strategy also psychologically "fools" investors into thinking they have more than they really do... because a good portion of the money in "your" retirement account will go to pay future taxes and fees. It gives people a false sense of security. The numbers are shocking. Retirement contributions totaling $400k can generate $575k in management fees, assuming an average investment rate of return of 6%. At an average rate of return of 8%, the qualified plan gives up a whopping $834k in fees! Paying such bloated fees is a common occurrence because compound interest doesn't just grow your money – it also grows COSTS as well. John Bogle, founder of Vanguard, called this the "tyranny of compounding costs," and the results are staggering to comprehend. It's no wonder Wall Street spends billions lobbying the Department of Labor to authorize automatic 401(k) contributions! Worst yet, even though it's "your" money, you can't actually USE it while others are profiting from it! You have to follow your employer's and the government's rules on what you can (and can't) do with your money. For instance, you can't leverage or borrow against your money in a retirement account to use as collateral for major purchases or as seed money to start a business. Prosperity Economics takes opportunity costs into account. It also encourages people to take control of their OWN money so that it benefits THEM first and foremost, not the financial corporations or the government! 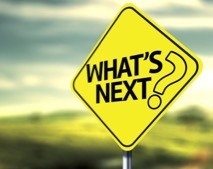 The most popular vehicle for 401(k)s and other qualified plans has become target-date funds. Overwhelmed with options of endless mutual funds, investors and employers alike love the set-it-and‑forget it simplicity. "Just pick the year you want to retire, and sit back and relax!" It sounds so simple... a professionally managed fund that automatically reallocates money periodically to assure investment risk lowers as retirement approaches. Instead of having to manually make continued adjustments in your portfolio to secure your retirement funds from stock market risk as the years progress, a target date purports to do that for you. Then the market crashed in 2008. Participants in the 2010 retirement funds – people who intended to retire in the next year or two – lost substantially. In some cases, target-date funds dropped even MORE than the S&P 500! There are many other issues with the funds as well. Performance has been lackluster at best, disastrous at worst. Their pre-determined, formulaic design doesn't allow for drastic reallocations in response to market conditions. And fees are high: as "funds within a fund," many have "fees upon fees." And, ironically, although target-­date funds aim to simplify investment decisions, they're tremendously confusing! Without analyzing the pages of fine print that the auto-investing target market was hoping to avoid in the first place, there's no way to know what a fund is comprised of. Target-date funds with the same target year but from different companies can vary wildly, creating a "buyer beware" situation for a product that, unfortunately, continues to sell itself. We agree that investing shouldn't have to be hard, but target-­date funds are not the solution. Prosperity Economics utilizes many financial vehicles that actually ARE set-it-­and-­forget-­it simple. Typical financial planning downplays saving in favor of investing, i.e., "assets under management." While saving money may be talked about fondly, actually establishing a truly adequate emergency fund, and building liquidity in one's personal economy gets little more than lip service. Many Americans think they are "saving" in their 401(k), but as a result, they don't actually have money when they need it. In 2011, as the recession continued, over $57 million dollars was cashed out from 401(k) plans early, costing plan participants penalty fees as well as taxes. One study reported as many as one in four Americans are borrowing from retirement accounts to pay bills, such as their mortgage, college tuition, even credit card payments. Savings and investing are BOTH important, and it is actually SAVING, not investing, that builds our financial foundation and flexibility. Saving appropriately will enable us to later invest without resorting to liquidating our investments every time we have a financial emergency. 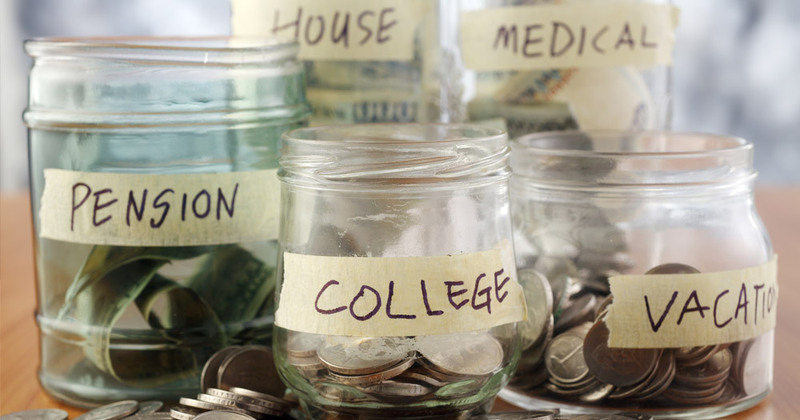 But saving isn't just for those who are starting out and establishing emergency funds. 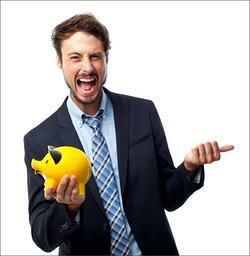 Saving is an essential life-­long habit that provides liquidity to one's life and business. Prosperity Economics teaches people to save before (and during) investing, to save for "opportunities" as well as emergencies, and to measure opportunity costs before paying cash for major purchases. But where can you safely save where your money can outpace inflation? The low-­interest rate environment has turned accumulated wealth into mere trickles of income. These days, even multi-­millionaires are challenged by living off interest if it is held in bank savings accounts and certificates of deposit! Prosperity Economics utilizes a safe, reliable, tax-advantaged cash alternative with multiple benefits and tremendous flexibility that generates stronger returns than bank accounts, CDs, money market funds, annuities or treasury bills. For those who already have substantial savings, we utilize proven growth investments or alternative cash flow vehicles that pay steady monthly payments. Our recommended growth investments do not roller-­coaster ride with the stock market, and our cash flow investments generate healthy returns in the high single digit and even low double-­digits. Speaking of saving money... everyone assumes that the safest place for your money is in an FDIC insured account, meanwhile, the Federal Reserve only has the equivalent of about 2% of the nation's bank deposits in their reserves! This means that if there was ever a run on the banks, it would soon become evident that our banking system is just one enormous fractional-reserve-banking Ponzi scheme. But the financial system doesn't have to collapse for you to lose savings. Cyber-crimes and fraud strip money from bank accounts each year, and government agencies such as the IRS and local law enforcement have been known to confiscate funds from bank accounts in a process known as civil asset forfeiture. Shockingly, wrong-doing merely needs to be "suspected," not proven. However, the most likely thief to steal money from your bank account is inflation. At current bank rates, having "money in the bank" is a guarantee that your wealth is being eroded. That's why Prosperity Economics utilizes an alternative to the Big Banks for storing cash safely, and a cash flow alternative to CD's that generates substantial cash flow for those who need their investments to earn income. The sad truth is that Americans are being sold a pathway to wealth by the financial industry that is actually leading us in the wrong direction. Our primary "investments" have brought us great insecurity and the inability to truly plan on or count on anything! The inducements to stop working at age 65 have also betrayed us. We have less stability, less control, less real prosperity than ever before. Earning Interest – or Conflicts of Interest? To complicate matters further, many Americans are getting "financial advice" from those who are not even obliged to advise investors according to the investors' best interests! Brokerage houses and financial representatives generally operate from a "suitability" standard, which means they must sell products that are "suitable" for your situation (i.e., your risk-­averse retired grandmother can't have her nest egg placed in aggressive stocks), but they can recommend funds or products that pay them the highest commission, even if it's not the BEST option for you! Advisors and planners that operate from a fiduciary standard or platform commit to serving the best interests of their clients... even if that means NOT selling a product at all! However, even the fiduciary standard does not guarantee that you'll receive recommendations for the BEST option. That's because most financial advisors operate from a limited perspective and with little awareness of alternative products and strategies that might be a BETTER choice. "Typical" financial planning and advice is insane. What can we DO to protect ourselves and escape the insanity? Wealthy people have always practiced what we call Prosperity Economics. Therefore, it is helpful to look at how people built wealth prior to the existence of the financial planning industry to see what went wrong. Prior to the rise of the financial planning industry in the 1970's, the most-used strategies were "savings accounts, whole life insurance, and the home mortgage," according to Steve Utkus, director of the Vanguard Center for Retirement Research, as quoted in the book Pound Foolish. Were Americans more financial savvy then? They didn't need to be, because the typical family's finances – and financial products – were less complicated. Nobody needed to know the difference between index funds and exchange-traded funds, hedge funds and target-date funds. And nobody needed to understand the dangers of derivatives, credit-default swaps and collateralized debt obligations. Stock brokerage accounts were primarily for the upper-middle class and the wealthy – those who could afford to take some risks with their money. The cost of entry to the stock market was higher, and the average person did not yet have the sort of "easy and automatic" access to stock market and mutual fund investing that exists today. People tracked their savings instead of their credit card debt. Over time, homes turned into free-and-clear assets, rather than used as collateral to re-finance credit cards. The number one fear was public speaking instead of running out of money. Life insurance provided for widows, widowers, and other heirs left behind, and the great majority of policies provided lifelong savings in addition to protection. In 1976 the great majority of policies issued were whole life permanent policies. Today, typical financial advice says to purchase life insurance just until our kids grow up, then get rid of it before we need it the most. Much more than simply a shift from "permanent" to "temporary" term insurance (which definitely has its place and fills a genuine need for affordable protection), this shift is part of a larger shift in savings patterns and liquidity of U.S. households. 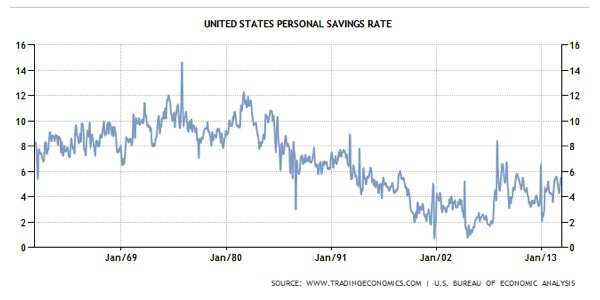 Personal savings rates soared to a peak of 14% in 1975 and bottomed out post-2000 at less than 1%. Even at more recent savings rates hovering around 4-5%, Americans are still spending significantly more of their income and saving less of it compared to earlier generations. The decline in savings is a major factor in the financial challenges that we face. Fortunately, saving money is something that we can control. It may not be easy, and it takes budgeting, discipline, a change of priorities and a change of habits. But saving money is possible. Longevity is also a key economic trend. Again - there's GOOD news here, considering the alternative! When combined with the trend of retirement at 65, longevity turns into (in the language of mutual fund managers) a "risk." Typical financial advice tells us that the solution to low savings rates and longevity is to chase higher rates of return in the stock market. But this advice has only served to create much financial insecurity. We recommend that you find work you LOVE to do so that total "retirement" becomes unthinkable. As a bonus, the world gets to benefit from your contributions! Two other factors that have changed the face of the American economy, perhaps more than any other, are the advent of Social Security, and the rise - and subsequent fall - of pension plans. Prior to the depression and the Social Security Act of 1935, there was no such thing as "retirement." However, the Great Depression (triggered by a stock market crash along with a shrinking money supply, complements of the Federal Reserve) brought sky-high unemployment. As younger workers with families to support struggled to find work, it was determined that forcing older workers out of their jobs was the solution. President Franklin D. Roosevelt proposed the Social Security Act to solve the problem of unemployment, essentially "bribing" workers in their 60's to retire by offering them a safety net. It worked, and companies followed suit by encouraging and even mandating retirement at various ages. Thus began the "safety net" and a set of cultural expectations that, along with increased life expectancies, has evolved into an unsustainable situation. Between 1945 and 1965, the decline in worker-to-beneficiary ratios went from 41 workers per Social Security beneficiary to only 4 workers per beneficiary. According to Mercatus.org, today there are just 2.9 workers per retiree—and the ratio is expected to drop to two workers per beneficiary by 2030. Simultaneously, defined-benefit pension plans have also become unsustainable to the corporations that once embraced them. Pension plans grew in popularity after World War II and, until a couple of decades ago, were often considered necessary to attract quality employees. However, as retirees lived longer and as corporations fought to control costs, defined-benefit pension funds began to be replaced with defined-contribution plans such as the 401(k). Once again, increased life expectancies had a profound impact. Each year of additional life expectancy would cost corporate pension plans hundreds of billions of dollars. Realizing they could not support seniors who quit at 65 and lived until 90 and beyond, many companies abandoned pension plans or combined them with defined-contribution plans, shifting most or all of the responsibility of retirement savings onto employees. Today's pension plans often suffer from the same "typical financial planning" problems that affect individuals. They are too-often underfunded, relying on market magic to turn too-small contributions into decades of income in an inflationary environment. Whether the investors are individuals or corporations, the math just doesn't work. Even in 2014, after one of the biggest bull runs the stock market has seen, the gap between private pension liabilities and assets was estimated by Moody's to be nearly two trillion dollars. Whether the mechanism is social security, pension plans, or individual retirement accounts, our economy suffers from the assumption that people can retire at 65, and somehow the numbers will all work out. Of course, some people CAN afford to retire at 65, or younger, with plenty to live on. But is that the best thing? In Busting the Retirement Lies, I argue that we are better off as people when we discover what it is we love to do and find a way to do THAT for a living for a long as we can! But the story of "what went wrong" goes beyond a strained social security system and the fall of pensions. While there have been many events that impact our financial system, let's briefly look at a few of the highlights and lowlights of our economic history timeline in the United States. 1913: The Federal Reserve was created, putting our country's monetary policy in the hands of private bankers. September 3, 1929 marked the stock market's high before the long slide into the Great Depression. 1935: The Social Security Act is passed in order to get older workers to leave their jobs to younger workers. November 23, 1954: The Dow finally regains its September 3, 1929 high. The 1950's: "financial planning" consists of a savings account, a life insurance policy, and home ownership. America enjoys a period of prosperity. 1958: The American Express card and BankAmericard (which became Visa in 1976) are introduced, but not widely used or accepted until the 1980's. Late 1960's - early 1980's: Personal savings rates average between 8-12% per year. In 1971, under Richard Nixon, the government decides it is time to move away from backing the dollar with gold, which opens the doors to the Fed being able to print money at a more rapid pace. 1970's: The money supply more than doubles in the next decade, causing high inflation as more dollars chase the same goods and services. Inflation becomes especially apparent in import prices of goods such as oil. The Wall Street Journal reflects in January 1986, said, "OPEC got all the credit for what the U.S. had mainly done to itself." 1972: IAFP enrolls its very first group of students for the Certified Financial Planners (CFP) course at the College for Financial Planning. 1978: The section of the Internal Revenue Code that made 401(k) plans possible is enacted into law. It is intended to allow taxpayers a break on taxes on deferred income. However, in 1980, benefits consultant, Ted Benna, takes note of the previously obscure provision and figures out how it could be used to save for retirement. By 1980, pension plans cover nearly 36 million private-sector workers, both union and non-union. 1980's: Fueled by demand created by the rise of qualified plans, the mutual fund industry explodes, lowering the barrier of entry to the stock market. 1980's - early 1990's: Deregulation opens the door to the massive Savings & Loan Crisis, which costs taxpayers upwards of $124 billion. 1980's -1990's: As 401(k)s and qualified plans rise in popularity, the masses begin to invest in the stock market. "Financial education" programs begin to teach and encourage employees how to "invest" - or speculate - in the stock market. Late 1980's and beyond: Many defined benefit pension plans become defined contribution plans. The risk and responsibility for retirement saving gradually shifts from employer to employee. Late 1980's and beyond: Saving less and less, Americans shift from being "savers" to "investors," seeking to earn higher and higher rates of return on their investments. 1980's: A.L. Williams popularizes the concept, "buy term and invest the difference." Williams founds a company that rakes in billions selling pricey term insurance and high-fee mutual funds. 1980's and beyond: Mutual fund fees and "assets under management" create massive, unprecedented profits for financial corporations and a massive drain on retirement funds. Americans begin to shift their savings from bank accounts, CDs and insurance policy cash value accounts to "securities." Until 1986, credit card interest is tax-deductible, fueling the rapid rise of credit industry and further lowering the savings rate. 1980's and beyond: Chasing higher returns, more and more Americans cash in their life insurance policies and go into old age with no life insurance. The middle class loses a primary mechanism for transferring wealth to heirs. The Monopoly board card that says, "Collect $100, your life insurance endows" becomes nonsensical to younger Americans. 1990's and beyond: Credit card companies change the way Americans spend. Now a middle or working class American could "have it all!" Savings rates plummet to a mere 2% - or less. People spend more and save less in attempts to have it all now. Late 1990's and beyond: Target-date funds gain popularity with increasing speed as more Americans hand the responsibility for their financial futures into the hands of Wall Street corporations. Early 2000's: Deregulation, speculation, new accounting practices, executive spending and company crimes create massive corporate meltdowns, such as Enron (2001) and Worldcom (2002).The stock market strays further from being a vehicle for investing in companies looking for capital, and more about gaming a system where the big winners are few. Market investors get skimmed on a good day and outright swindled on a bad one. December 2007: After 14 months of heavy lobbying of Congress, the Pension Protection Act authorizes employers to place employees qualified plan savings in target-date funds as a "default" option if an employee does not choose otherwise. Target-date funds, usually comprised mostly of stocks, replace stable value funds (generally regarded as a safe, conservative type of fund designed to protect principle) as a default option. Can we pause here to ponder the absurdity of this legislation? Employers cannot be held liable if they place an employee's money in an investment that loses money. And now, employers only enjoy this safe harbor protection IF they place their employees' money in investments that ARE risky and that DO lose money in stock market declines. And THIS is called the "Pension Protection Act"? It sounds more like the "Wall Street Commission and Bonus Protection Act"! 2008-2009: One year after those changes took place, American investors sustain tremendous losses in the biggest stock market crash since the Great Depression. Neither the lawmakers, brokers, money managers, the Department of Labor, or the employers could be held liable for the loss of retirement funds. 2007-2010: The sub-prime mortgage crisis also causes deep homeowner and investor losses in real estate, while devaluing homes and creating a national wave of foreclosures. 2007 - 2008: Two Goldman Sachs traders initially turn the crisis into large profits for the firm, earning $4 billion by "betting" on a collapse in the sub-prime market while short-selling mortgage-backed securities. Goldman CEO and Chairman Lloyd Blankfein oversees Goldman's risky bets on the housing bubble, then turns the investment firm into a bank so it could get TARP money. 2008: Wall Street executives receive golden parachutes for luxurious living while losing Main Street savings and investments. The Big Banks take $175 billion in taxpayer bailouts while paying out $32.6 billion in bonuses alone to CEOs and key employees. Not wanting to appear greedy, Blankfein forgoes his 2008 bonus, but still rakes in $42.9 million in salary, stock options, and other compensation. December 2008: Interest rates hit an all-time low and stay there, turning accumulated nest eggs into mere trickles of income. March 5, 2009: The Dow Jones falls to its low of 6,594.44, less than 50% of its all-time high less than 18 months earlier. 2009 and beyond: As unemployment remains high, record numbers of people begin collecting Social Security at 62 because they cannot find work to meet their expenses. 2011: New census numbers that take into account rising healthcare costs reveal that 1 in 6 Americans 65 and older are now living in poverty in the U.S. Seniors have lost more economic ground than any other age group. Medicaid costs increasingly strain state and federal budgets. By 2011, 97% of private sector companies have either discontinued defined benefit pensions or watered them down severely, combining them with defined contribution plans. April 2012: The first US Public Pension plan declares bankruptcy. Underfunded pensions, private as well as public, become increasingly invested in the stock market and begin to fail with greater frequency and with greater impact. 2011-2014: Americans continue to invest in the financial industry that crashed only a few years before, even as the stock market becomes more unstable than ever with speed trading and other technologies. Target-date funds continue to grow in popularity, especially with newer investors, in spite of their risks and (often) hidden and layered fees. 2013: Americans watch their mutual funds bounce back to pre-recession levels. They start using credit again, and spending increases. It is declared a "recovery." 2012 - Today: While the stock market rebounds, rumors begin to circulate of the "education bubble," the "bond bubble," the next "stock market bubble" and other financial accidents-waiting-to-happen. Those who predicted the 2008 crash predict that another perhaps worse financial meltdown is on the horizon. In typical fashion, the financial media ignores the warning signs, censors the solutions, and analysts continue their never-ending game of speculating what the next hot stocks will be. Only financial experts NOT sponsored by financial corporations dare to suggest that stocks cannot continue to rise forever. Is this a "recovery" or the calm before the next storm? We believe that any objective observer who looks at the economic history of the United States will agree that continuing to trust Wall Street corporations, Big Banks and "typical" financial advice is NOT the path to a sustainable financial future! It is clear that massive conflicts of interest have shaped the institutions, products and financial education that influence how Americans invest. Typical financial advice is not the answer. Regardless of what regulations are passed or repealed, ample evidence suggests that the big financial corporations will continue to look for opportunities to make money from their customers and investors, whether or not they make money FOR their customers and investors. Meanwhile, typical financial planning and advice continues to utilize a broken system full of half-truths and mathematical shortcomings to help Americans create "financial security." People continue to aim for retirement at 65 - or even earlier - in spite of the economic risks of doing so. Many companies and industries continue to encourage or even mandate retirement, in spite of the experience and wisdom that seniors have to contribute. And still, the numbers just don't quite "work." Isn't it time to change course and try something DIFFERENT? If typical financial planning doesn't work, what does? When I became aware that there were some big problems with typical financial advice and strategies, I started observing what wealthy people did. I looked for the positive patterns, and noticed what habits, beliefs, strategies and philosophies the truly prosperous had in common. And I noticed that those on their way to financial freedom did things differently. Putting their income and their future in someone else's control. Wealthy people don't follow "typical" financial plans. They don't max out their 401(k)s, cross their fingers and wait. And they don't put their dollars and trust under the control of the big financial corporations and the government. Many wealthy people practice what I have come to call "Prosperity Economics." Its strategies and products do not rely on guesses and assumptions, the political climate, the mood of the market, or government policy. Prosperity Economics recognizes that "planning" is of limited use, because when does life ever go as planned? Prosperity Economics puts YOU back in control of your money, using tried-and-true strategies that do not rely on luck, speculation, constant time-consuming analysis, or a bull market. Prosperity Economics uses proven, time-tested strategies and products. At Partners for Prosperity, LLC, we recommend alternative financial products and solutions to our clients that allow them to get results while protecting themselves from an unstable stock market and banking system. We have alternative strategies for cash, income, and growth that we have used for over a decade with our clients. These strategies do not rely on speculation and in many cases, are completely immune to market cycles and crashes! Prosperity Economics is an alternative to typical financial planning and advice, and it works. I use special software (from TruthConcepts.com) all the time to confirm that the NUMBERS work - and they do - but Prosperity Economics is about much more than math. It's a different way of doing things. Prosperity Economics starts with wherever you are right now. Whether you feel like you're "behind" on your finances or have experienced great prosperity, it deals with money you have now. Rather than trying to predict the future, the focus is on OPTIMIZING your dollars, making them more efficient, and putting what you have to the best use possible! Prosperity Economics thinking is about more than money. We believe that Prosperity is a way of thinking and a way of life, and it goes beyond dollars. Prosperity also includes health, happiness, and the fulfillment that comes when we live our purpose, dwell in gratitude, and do the right thing. Prosperity Economics encourages people to remain active and productive, contributing their gifts for as long as possible. Rather than retire at some arbitrary age, we advocate that seniors continue to work, start businesses, or volunteer around their passions. Prosperity Economics encompasses products (things that you buy) as well as strategies (things that you do). It's a flexible system that cannot be boiled down to a single product or strategy. Prosperity Economics is a philosophy and a set of principles that inform your financial choices and put YOU back in control of your thinking... AND your money. And now, to see how to build sustainable wealth... without Wall Street speculation... let's look at the 7 Principles of Prosperity! Although I've coined the term "Prosperity Economics" and have articulated the 7 Principles of Prosperity, the ideas and practices of Prosperity Economics are not new. I didn't "invent" Prosperity Economics - the wealthy have practiced it for generations - I've simply observed and described the timeless principles and practices of wealth-building. The first Principle of Prosperity is to THINK from a Prosperous Mindset. If we wish to create wealth, we must first examine our thoughts and beliefs. We do this because our consciousness guides our behavior... and our results! Are we thinking abundantly, or living our lives from the assumptions of scarcity? For instance, if we believe there is “never enough”, we could find ourselves compulsively spending every penny we make (and then some). Our thoughts will literally become our reality! And if we believe there is more than enough, we’ll find ways to save, to give, and to invest in ourselves. Conversely, scarcity thinking may cause people to hoard money, but not use it, fearing there may NOT be “more where that came from” after all. Some people have been so convinced that there is "never enough" that they hid many thousands of dollars of cash around their house, or even un-cashed checks, which were only found later by surprised heirs who believed their dearly departed Aunt was poor! Prosperity is characterized by gratitude instead of complaining or blaming. Prosperity is based in trust and action rather than the fear and paralysis of scarcity thinking. Prosperous people save what they can, rather than spend all they can. Prosperous people put their money to use instead of hoarding it. A Prosperity mindset focuses on giving first, rather than getting. Prosperous thinking keeps us moving towards goals instead of settling for less than we desire. Prosperous thinking is contribution-based, rather than greed-based. Prosperity thrives on collaboration rather than competition. Prosperous thinking recognizes the contributions of all, while scarcity thinking forces people into retirement based on zero-sum assumptions. A Prosperous Mindset recognizes our limitless value, while scarcity-thinking equates security only with paychecks, retirement accounts, or homes. If you are a business owner, a Prosperous Mindset is a must! I have been blessed to find two important mentors in my life who have helped expand my own prosperity mindset and capacity for success: Dan Sullivan of Strategic Coach (I have been both a coach and participant for many years!) and Peter Diamandis, co-founder of the X-PRIZE Foundation and many other enterprises. For an in-depth look at how a Prosperity Mindset operates in the world, I recommend reading Abundance: The Future is Better Than You Think, by Peter Diamandis, If we only focus on whatever is going "wrong" in the world, we miss out on the astounding opportunities that exist all around us. The second Principle of Prosperity teaches us to SEE the Big Picture of our finances. Typical financial advice tells us to focus on the rate of return, or the interest rate of our mortgage. It focuses on a few trees, but not the whole forest! Prosperity Economics asks us to look at our WHOLE personal economy, and asks how we can get MORE dollars growing, and how to do that sustainably and reliably. Prosperity economics sees how our mortgage, our insurance, our savings, our investments, our decisions about how we purchase a car or send our child to college all work together. Since all of our expenses come from the same wallet, we want to take a macro-economic view. utilizing only term life insurance. Prosperity Principle # 3 is to MEASURE opportunity costs. Instead of telling us to “buy everything with cash” and “prepay your mortgage,” this principle teaches us that our own cash has a cost, and to recognize and consider the cost of paying with cash. Opportunity costs are commonly looked at in the business and investment world, but not as often considered in our personal finances. The reality is that we will either "pay interest or pass up interest," and there are many situations where we can build wealth faster through strategic borrowing and leveraging. It's also not accurate to equate Prosperity Economics with those systems. Prosperity Economics can include those strategies, but it is more comprehensive. The principle is to measure the cost of paying with cash (or the cost of using one strategy versus another.) What could those dollars earn if you kept them in your personal economy? What if you could recapture the dollars you spent on term insurance by using permanent insurance? What if, instead of paying for vacations outright, you invested in a business or bridge loan mortgages that could fund your travel? When people measure opportunity costs, they tend to increase their assets and cash flow. When people fail to measure opportunity costs, they tend to pay cash for everything or keep cash sitting in a bank account earning virtually nothing. They don't keep their money growing, and they end up with less money as a result. The fourth Principle of Prosperity is to create cash FLOW with our dollars, rather than focus on accumulation. Net worth does not pay our bills or take us on vacation - cash flow does! And yet, typical financial advice tends to focus on building a bigger pile of money (often times in places it can't be accessed) rather than creating a usable stream of income. This principle illustrates why the "accumulate all you can now, worry about cash flow later" model doesn't serve investors' best interests. If you have a million dollars in savings accounts or CDs paying only one percent interest, you’ll only be able to use $10,000 a year sustainably! Too often, we forget that successful wealth-building is not about amassing the biggest pile of money we can, but it’s about using our wealth (dollars, skills, knowledge, etc.) to create a sustainable life that inspires us, empowers us, and enables us to offer our deepest gifts. The fifth Prosperity Principle is to CONTROL your dollars. Many typical strategies ask you to turn your money over to big financial companies who use your dollars to make them more dollars - with no guarantees for you! What's wrong with this picture? Then there are the rules, especially in qualified plans, that cause us to lose control. We think it is frankly insane to put your money where you are told what you can and can’t do with it! We don’t believe that the government, the Department of Labor, or an employer should dictate your investment decisions. While understanding that different investment vehicles do have rules that must be followed, we teach our clients to keep their dollars under their control so that they can make choices about their money instead of having someone else - or an unpredictable market - make choices for them. Avoiding speculation and trying to "time the markets." Being an active investor who understands what you're investing in and does not delegate your money and decisions to others. Limiting 401(k) or other qualified plan contributions to amount required for the employer match, and investing additionally outside of qualified plans. Using Roth rather than traditional IRAs and 401(k)s.
Not reinvesting dividends in taxable investment accounts (where dividends earned become subjected to further fees and taxes), but instead invest the dividends elsewhere. Utilizing high cash value whole life insurance, when appropriate, to build liquidity, growth and protection of long-term savings. Prosperity Principle # 6 is to MOVE our dollars. Just like water gains power from movement, as opposed to remaining stagnant, so our MONEY gains power and momentum through movement! 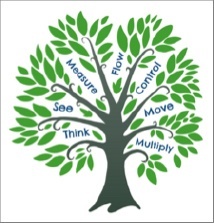 Movement is what creates cash flow in our businesses, our national economies, and our personal economies. We see our economy strengthen when money “moves,” when people feel confident to spend as well as earn. When money accumulates in one place - such as a retirement account or a savings account - it becomes stagnant. If money is accumulated, but never moved or put to use, it is not being used efficiently or effectively. Think of having money move THROUGH your assets, not TO your assets. We teach our clients about the velocity of money, because wealth is not created when money sits stagnant and still under lock and key, but when it moves to us, through us, through our investments, through our communities, back to us, and so on. Instead of buying a boat with cash, an investor could use their cash to invest in rental property generating cash flow. Money moves through the investment and generates monthly cash flow that could be used to finance a boat. Eventually, the investor will own a boat plus their original investment, and they will still have cash flow they can move elsewhere. Rather than saving for future expenses in bank accounts (a new car, major vacations, home improvements or down payment), use cash value accounts in participating mutual insurance policies to store cash that will be later used or borrowed against. Money moves through the insurance policy, does other jobs, and is returned to the policy. Walt Disney, J.C. Penney, Ray Croc and many other notable entrepreneurs have used this strategy, moving money through their life insurance policies to their businesses when needed, then back again from their businesses to their policies. Instead of using cash to purchase a sports car, one businessman used the cash to purchase a cash-flowing website, then bought the car on payments generated by the online business. Money moved through his business and was used to purchase the car. However, to accelerate results, you want to move money through cash-generating investments to other assets or investments that produce additional cash flow or growth! The best way to move your money is to move cash flow from your saving and investments to other savings and investments. Money can move through a bridge loan investment fund, generating steady payments that can be used to purchase additional whole life insurance. Cash value growth or dividends from the insurance policy can then be used to help fund another investment. Keep your money moving to increasing the velocity of money and your returns! The seventh Prosperity Principle is to MULTIPLY your money by MULTIPLYING the ways in which you use each dollar. Just like your smart phone does more than one job, replacing an iPod, a GPS system, a pocket camera, a calculator, a pager (remember those? ), so your dollars can do multiple jobs. When you put your dollars to work doing more than one job, they become more efficient. When you multiply the jobs your dollars do, it creates tremendous freedom and flexibility! It's difficult to save for your next car, a college education, an emergency fund, a retirement fund, your next vacation, and insurance protections of all kinds. What if you could do all of this at once, using a multi-purpose Prosperity Fund as needed? Many people are "saving too much in all the wrong places," with dollars doing just one or two jobs. One dollar educates a child, another dollar accumulates for retirement. You want your dollars doing as many jobs as possible, and you want to put your dollars into savings and investment vehicles that allow them to do multiple jobs. Life insurance, real estate, and traditional businesses lend themselves well to Prosperity Economics, because those products and businesses put dollars to work doing more than one job. purchase paid-up additions (which increase cash value and death benefit). Multiply the jobs your dollars do and you'll multiply your Prosperity! These 7 Principles of Prosperity are the organizing principles of Prosperity Economics that guide our products, strategies and decisions. And as you can see, they lead us to different choices than "typical" financial advice! Now, let's take a look at more ways to PRACTICE Prosperity Economics compared to the strategies of typical financial advice. The 7 Principles of Prosperity guide us in our financial decision-making and lead us away from typical financial strategies and advice. Let's look at five specific examples of Prosperity Economics in action and see how Prosperity Economics leads us to new thinking and greater control and use of our assets. Typical financial advice tells parents to start saving in a 529 plan or Coverdell account. Many parents start when their children are born. Assist your child in disqualifying for financial aid (by saving in vehicles that must be claimed on a FAFSA) should they have otherwise been qualified. Suffer the same problems as other “typical” investments, in terms of high risk, low reward, low control, and limited investment options, often with high or unnecessary management fees. Ugh – now there’s even “age-based plans for aggressive investors” that share all the same issues and potential instabilities as target-dated funds! Policy cash value does not get counted "against" the child when financial aid is determined. Funds can be borrowed tax-free, or withdrawn and used for tuition, housing, or other costs (including mentorships, apprenticeships, alternative or international programs that may not qualify for typical education loans). When funds are used as collateral for college costs, the underlying savings keep growing in the cash value account. This growth helps offset the cost of the policy loans. Funds can be repaid by parents and/or the college graduate on a schedule of policy holder's choice. While dollars are being saved for college, they are also doing other jobs, such as providing protection, emergency funds, and more. Save in your own or your child’s whole life policy. Borrow against policy funds for a down payment on a triplex or four-plex near the child’s college of choice. The child lives in one unit while finding roommates and other renters to turn what would have been a college expense – housing – into a leveraged asset with cash-flow and built-in lessons in business, real estate, and responsibility! Rather than coming away from college with a diploma and drained accounts, the family now has an asset that can continue to produce cash flow and gain equity. Cash flow from the property pays back the property down payment, and, eventually, the mortgage and other expenses. Now you have a college graduate and an additional asset! ADDITIONAL OPTIONS: With a little creativity, many other Prosperity Economics scenarios can be imagined, such as helping a child create a business to pay for college, or hiring a child in an existing business to help them fund their own college education, while producing a tax-deduction for the business! Whatever options you choose, we recommend choices that will allow the student to participate in their own college funding in some way, perhaps through work, repayment, decision-making, etc. This fosters independence and confidence rather than dependence and entitlement. Typical financial advice follows the "accumulate now, withdraw later" plan. The problem with this is, as mentioned earlier, people live on cash flow, not on net worth. And typical financial strategies for income may not even keep up with inflation! At this point, transition most or all of your money (possibly after paying the taxman) into "income" investments such as dividend stocks, higher-yield bonds and annuities. While these investments are generally thought of as "secure," dividend stocks took a big dive in the Great Recession, and the bonds that pay more aggressively are often not quality investments. Typically you're advised to keep a portion of assets in cash equivalents such as certificates of deposit, though rock-bottom rates are encouraging seniors to take more risk. Draw down assets at a rate of 3-4% of principle. (Yes, the former "4% rule" is down-sizing due to low interest rates.) Withdraw faster, and you could run out of income in retirement. Funds in taxable retirement accounts remain subject to future taxes at an unknown rate, as well as various qualified plan rules. Funds outside of qualified plans are often taxed as capital gains. Income may negatively affect social security income. Assets may not hold value. Oftentimes, continued taxation and fees continue to chip away at your investments and your cash flow. However, perhaps the biggest problem with typical financial strategies is that there's no "fall back" plan for decreasing rates, rising inflation, or major emergencies that might consume significant assets. It's no wonder seniors say their greatest fear is running out of money! That's because the "accumulate now, draw down later" strategy is a poor plan with no emergency exits. When clients come to us with typical investments and taxable retirement accounts in their portfolios, we help them strategize how to sequence their consumption of assets to minimize taxation and put more money in their pocket. People tend to withdraw "a little at a time" from all available assets, but that is rarely efficient. By consuming the taxable accounts first and/or moving funds out of taxable accounts into tax-advantaged accounts, investors can keep more of their own money. However, we don't suggest using "typical investments" when your goal is sustainable income. Instead, we recommend investments and savings vehicles that offer security of principle, healthy returns, and flexibility. Investing in carefully screened commercial mortgages and bridge loans can provide you with reliable monthly income with high single-digit and even low double-digit returns, with extremely low risk. Reliable monthly income payments come directly from the company we recommend, not the borrower. In most cases, the company that sources and services the mortgages holds a secondary interest. This assures that the underwriting is conservative and that your best interests are represented. Assets are secured with first-position mortgage instruments. Loan-to-value never exceeds 65%, allowing for market fluctuations. Properties are valued and vetted by experienced professionals and managed according to industry best-practices. Although private investment mortgage funds can provide income for years, the underlying notes are held short-term (usually one year) to minimize risk in the event of a market downturn. Bridge loan notes and funds can be held in a self-directed Roth IRA for tax-free income. Participating mutual whole life insurance funded with maximum paid-up addition riders is not only a great way to save long-term, but it is a product that can offer additional benefits to those desiring future income and additional assurance. Cash value dividends of participating mutual insurance companies have historically produced healthy, reliable income in retirement. This strategy can provide you with greater safety, stability, tax savings and flexibility compared with traditional income strategies, including annuities. Dividends are not taxed as income, they are considered a return of premium when withdrawn up to basis, and growth can be borrowed against. With the proper riders such as a Waiver of Premium, and a Long Term Care rider a whole life policy can also provide disability income or even acceleration of the death benefit in cases of chronic or terminal illness. Because true mutual insurance companies are owned by the policyholders (as opposed to stock insurance companies owned by stockholders), they plan and invest for the long-term rather than just the next quarter. This creates stability and profitability for policyholders. A reverse mortgage is a product that can provide additional tax-free income, or be used to address "what if" situations in which more money is needed than anticipated. Reverse mortgage income does not negatively affect social security income because it is considered home equity, not income. With typical strategies, people should be afraid of running out of money. With Prosperity Economics, you have greater flexibility and control. Typical financial advice says. "The stock market is the best place to invest long-term." However, when you look at the list of Forbes wealthiest people, you'll discover that the vast majority of billionaires built their wealth investing in businesses, not the stock market! And while you may hear "average" stock market earnings over time are as much as 12%, if we look at the "actual" rates of returns, we discover they are much lower. (For a discussion of average vs. actual rates of return, see the article, "Average Does Not Equal Actual" on TruthConcepts.com. Loss of Principle: mutual funds and stocks carry high volatility and no guarantees. Loss of Control: except with stop losses and the ability to sell, you have no control over your assets in the stock market. Financial Stress: what's your peace of mind worth? Market swings can cause stress and anxiety. Taxation: inside of a qualified retirement plan, mutual funds are subject to government and employer rules, and (unless it is a Roth), future income taxes. Fees: as assets grow, so do fees. Fees are paid whether or not the investor is winning or losing in the market. In some cases, Prosperity Economics strategies may be subject to the same taxation as other investments (though we don't recommend tax-deferred qualified plans). And that is where the comparison ends. Our recommended Prosperity Economics solution for growth is Life Settlement investments. They allow investors to earn low double-digit returns (net of fees) with NO exposure to ANY market volatility! have been used by institutional investors for many years, but has only recently been available for purchase by individuals. provide a way for individual investors to benefit from the secondary market for life insurance policies. create a solution for seniors nearing life expectancy who no longer need or want their life insurance policies, turning a death benefit into a living benefit they can use. are based in actuarial math, not financial markets. The benefit for investors is a solid investment and a rate of return NOT affected by market swings, interest rates, politics, and other outside factors. If you are looking to grow your assets without the risk of market downturns, we encourage you to request further information about life settlement investments. Rates of return have averaged in the low double-digits or very high single digits. This strategy can be used outside of or inside a retirement account, utilizing a self-directed IRA. Many of our clients are utilizing life settlements to grow their assets. Banks currently earn much less than 1%... and it's taxable! Bank accounts are not necessarily private or secure. From civil asset forfeiture to cyber crimes, identity theft, liens, lawsuits and garnishments, there are countless examples of how someone's bank savings have ended up in someone else's hands. Qualified plans make poor vehicles for savings. They subject money to risk, put it behind a tax wall, and tie dollars up where they cannot be used. Money can be borrowed from a bank only if you "qualify" for the loan, and rules for borrowing from a 401(k) plan are strict and for limited reasons. Investment options are limited in qualified plans. Typically, your choices are to take risks with securities or park your money in a cash equivalent earning next-to-nothing. Regardless of whether a person saves in a qualified plan or a savings account, if they desire life insurance, they will have to pay additionally for term insurance that will expire after a certain period of time. Term insurance premiums must be counted as an opportunity cost, as that money cannot be saved or invested elsewhere. (Nor is your family likely to ever receive the death benefit. A Prosperity Economics solution is to save in a high cash value, dividend-paying whole life policy structured with the maximum paid-up additions. We say "save," not "invest," because insurance is not classified as an investment. It is more appropriate to compare cash value to safe, liquid investments that cannot lose value. However, there's really no comparison! When held long-term, internal rates of return are currently between 3-5% (depending on age and health). You'll have greater returns and also more privacy and security than banks provide, with no downside risk. Cash value becomes "all-purpose" savings that, like a Swiss army knife, can be used for multiple purposes... home repairs, college tuition, a rental property down payment, healthcare costs, business expenses, a new car, etc. By being able to save in one large account (instead of many other smaller, single-purpose accounts), you can build liquidity and financial flexibility. Policy loans can be repaid on the borrower's schedule while the cash value used as collateral keeps growing, unaffected by the loan. Permanent insurance increases the policy holder's estate value and creates legacies for heirs and charities. The death benefit grows with a whole life policy and provides additional value to the estate. In certain situations, death benefits can be utilized by the policy holder while still living, as policies can be sold on the secondary insurance market or death benefits can be accelerated according to riders in cases of terminal illness. An adequately-funded permanent insurance policy with a Waiver of Premium rider can potentially eliminate the need for disability insurance or term life insurance. In many states, whole life policy cash value accounts are protected from liens, lawsuits, and (in all states) from the prying eyes of the IRS. Life insurance policy cash value is not counted as an asset for college, nor are dividends considered income by the IRS. I describe MANY ways to use this age-old, rock solid financial strategy in my first book, Live Your Life Insurance. I encourage anyone who owns (or is considering owning) whole life insurance to read this little book - it's a "handbook" for getting the most out of your policy! But the "goal" of Prosperity Economics is NOT to simply earn 3-5% on your savings. Saving money is just the foundation... the first step to putting yourself in a position where you can put that money to work through "real" investments or other strategies. Saving isn't just for emergencies... it's also for OPPORTUNITIES! Remember we mentioned the velocity of money... one of the secrets that makes Prosperity Economics so effective is that these opportunities are where wealth-building can start to really ACCELERATE! They don't even "see" opportunities, because they have no liquidity to take advantage of them. When people build up their savings and liquidity and have the ability to invest significant sums of money, new opportunities will suddenly start coming their way! (We help investors with as little as $25,000, though options expand at higher amounts.) Without the liquidity, they would have either not noticed or not been able to take advantage of opportunities to reliably earn as much as double digit returns. CASE STUDY A: Nelson Nash, author of Becoming Your Own Banker, was in the forestry business before he went into the insurance business. One day he was able to use his policies to temporarily borrow money for the purchase of land with timber at an excellent, below-market price. The timber was cut and sold, and Nelson made an extremely healthy profit off of his investment, of many times the interest rate that his policy alone was paying. The opportunity was made possible because he had access to the capital! CASE STUDY B: A client of ours came to us for help with analyzing a commercial real estate deal. It looked like a very solid deal, as the property was producing almost 18% cash-on-cash return! However, using his whole life policy for leverage, he was able to purchase the property with much less money out of pocket, thereby increasing his effective rate of return to 111%! His actual cash flow was less, but the rate of return rose because he was now using the life insurance company's money instead of his own. (A "zero-down" deal would have an infinite rate of return.) Thus, he would also have the capacity to do more deals and earn more returns at a higher rate of return than using only his own cash. There is a blog post on this case study at TruthConcepts.com. We use Truth Concepts calculators to tell "the whole truth" about money, including opportunity costs and other factors too often neglected by typical financial advice. Most people think that borrowing at 8% and earning 12% would equal a 4% gain, but that is not true! You have to think of it in terms of dollars (or widgets may help.) If you borrow 8 dollars and trade your $8 for someone else's $12, your 8 dollars has earned back an amount equal to 1-1/2 times itself - a fifty per-cent gain from where you started. If you are a storeowner who can buy a hammer for $8 and sell it for $12 retail, you have marked up your product by 50% of its original price. When we can borrow money at one price and earn it at another, we are simply marking up dollars. This is how banks make money... a LOT of money! And don't forget... when you use whole life insurance as a long-term savings vehicle, you also put a death benefit in place. Not only do your savings outpace inflation when held long-term, but an additional asset is also added to your estate that can be used, for instance, to give a surviving spouse additional income or assets. Perhaps now you understand why the wealthy still utilize whole life insurance to build and keep wealth, even while most investors are told to "buy term and invest the difference." Purchase a home, with a 15-year mortgage, if you can afford to do so. Or get a 30-year mortgage and pay extra against the principle so that you can pay off your home early and save on interest. On the surface, this makes sense. But consider the Prosperity Economics alternative. Prosperity Economics encourages ownership of assets as the stepping stone from being "comfortable" to being truly Prosperous and financially free. See how typical financial advice actually prevents people from expanding their asset base, compared to Prosperity Economics strategies. There's no need to wait to save the 20% while throwing years of extra rent payments down the drain. Purchase a home when you can afford to do so, even utilizing low-down-payment programs. Get a 30-year mortgage with lower payments. A high cash value whole life policy to start (to build liquidity), or, when you have sufficient funds, investments such as commercial mortgages, rental real estate, or life settlements. In 30 years, you will have a free and clear home PLUS additional homes or other cash-flowing investments. In the meantime, you will have greater financial security and control of your money by building liquidity or additional assets. Paying down principle puts money out of your reach and control while adding nothing to the value of a home. By saving and investing on the side rather than striving to pay off a mortgage early, you increase both your asset base and your future cash flow. The result of utilizing such strategies? One of our clients purchased her first home - "Property A" - for $110k using a 3.5% down FHA loan. A few years later, she saved money for a down payment on her second home, Property B, and turned Property A into a rental property. A little over two years later, Property A had gained further appreciation and she was able to sell it for a profit of about $90k. With the tax-free proceeds, she purchased another rental property - Property C - as well as paid off her consumer debt, bought a car, and took a vacation to Hawaii. Two years later, she refinanced her second home, Property B, and used the proceeds as a down payment on a new home - Property D, turning Property B into a second rental property. In 13 years, she had created windfalls totaling about $300k. And at the time, she was a single mother earning about $60k per year in her "day job." MULTIPLY dollars and the jobs that they did. If she would have just stayed in her first home and accelerated mortgage payments, she would STILL be paying off her home, and would not have enjoyed those windfalls created through ownership of additional properties. As you can see, Prosperity Economics is powerful way of optimizing your dollars! When we stop focusing on "rates of return" and focus more on the Prosperity Principles, we can increase the VELOCITY - or movement - of our money. "What's the right ratio of stocks to bonds?" "How much do I need to save to retire at 65?" "What rate of return should I be projecting my investments will earn?" "How can I maximize my tax deferrals through qualified plans?" "What's the quickest way to pay off a mortgage?" Prosperity Economics turns "conventional wisdom" on its head. Prosperity Economics doesn't just focus on how much money you have, but on how much FREEDOM you have with your money. Can you use it if you wish? Can you borrow against it? Is it tax-advantaged - not tax-deferred? Can you pass it on to a spouse or children easily and with minimal costs? Now that you are familiar with the Principles and Strategies of Prosperity Economics, what will you DO with this information? To tell everyone who will listen the WHOLE Truth about how money really works. Once you understand the Truth about our economic system, there's no going back. I'm committed to helping people avoid the rigged system and bad advice that KEEPS us from true prosperity. We can and we must learn to build bullet-proof, life-long wealth - in any economy - without Wall Street institutions and Big Banks. Most people would rather do what everybody else is doing - or do what they're told to do - than research alternative ways of thinking and doing things. But not you. If you are reading this, you are obviously an exception, and I'd like to THANK YOU. Thank-you for reading this ebook. Thank-you for taking the time and effort to explore a different way of thinking and doing things. What will you DO with this information? Are you using Prosperity Economics principles and strategies now (intentionally or not)? In what ways can you align your finances more closely with the 7 Principles of Prosperity? Perhaps it's time for you to investigate further. Perhaps it's time to take ACTION on what you already know to be true. Whatever the case, I encourage you not to read this book and do nothing. Decide what your next steps are, and make time to do them. As for me, I'm not simply building a business, I'm building a MOVEMENT - the Prosperity Economics Movement - that I sincerely hope will forever change the way you look at your finances. I hope so... The stability of our families and the health of our economy REQUIRE this information to come to light. Are you ready to practice Prosperity Economics instead of following "typical" financial advice? Can we help YOU build wealth without the big financial corporations, or the roller-coaster ride of the stock market? Contact Joel McGriff at (800) 841-4573 during business hours (Central time zone), through our website, or by email to get more details about any of the strategies discussed in the book, and/or to set an appointment to discuss the particulars of your situation. There is no cost or obligation. We're here to help. Joel has additional resources, books and articles to help you see how Prosperity Economics can help you build sustainable wealth! But don't wait until you've "learned everything." Get started with Prosperity Economics strategies now! Contact Joel McGriff to discuss how YOU can build wealth without Wall Street risks and worries! There seems to be no shortage of financial advice, but that has not led to economic success for most. Many are saving in their 401ks and other qualified retirement plans, crossing their fingers it will be “enough.” Meanwhile, even those considered relatively wealthy are often unsure of how to grow their assets while protecting them from market instabilities and taxes. Prosperity Economics hasn’t been so much discovered as rediscovered. Prosperity Economics employs common-sense principles and strategies that preceded the rise of 401ks and the financial planning industry. It shows us how to optimize wealth by keeping it in our control rather than delegating our financial futures to Wall Street, big corporations, and the government. 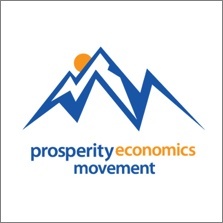 Founded by financial author and advisor Kim Butler and Todd Langford, developer of Truth Concepts financial software, the Prosperity Economics Movement is an education-based non-profit organization. It's also a loosely organized movement of advisors, agents, investors and consumers looking to take control back from financial corporations that don't serve our best interests. Kim D. H. Butler is a leader in the Prosperity Economics Movement, and an often-interviewed expert on whole life insurance and alternative investments. Kim got her start in banking and then worked as a financial planner, obtaining her Series 7 and Series 65 licenses, and her CFP® designation. But she grew disillusioned over time, realizing that the practices of typical financial planning were irrelevant, misleading, and even harmful! Driven to find a better way, Kim studied the commonalities between wealth builders. She observed what worked and what didn't, which led her to identify the 7 Principles of Prosperity. The principles became a foundation for the Prosperity Economics Movement. Kim left her "typical" financial planning position and started her own financial practice in Texas in 1999. Kim’s work and ideas have been recommended by financial thought leaders and authors such as Robert Kiyosaki (Rich Dad, Poor Dad), Tom Dyson, publisher of the Palm Beach Letter investment newsletter, Tom Wheelwright (Tax Free Wealth), and Garret Gunderson (Killing Sacred Cows). She has been interviewed by Robert Kiyosaki, consulted by the Palm Beach Letter about “Income for Life” strategies, has appeared on the popular Real Estate Guys radio show, has appeared many times on Guide to Financial Peace Radio, and now co-hosts The Prosperity Podcast. Today Kim co-hosts The Summit for Prosperity Economics Advisors with her husband Todd, assists with training advisors on Truth Concepts financial software at "Truth Trainings," coaches entrepreneurs with Strategic Coach, and continues to work with clients and write books about Prosperity Economics. She lives in Texas with her family, a large dog, two cats, and 16 (or so) alpacas. Kate Phillips has worked with Kim Butler since 2011 as a writer, editor, and marketing coach, helping to further articulate the principles and strategies of Prosperity Economics through articles, the Prosperity on Purpose ezine, and various books. Kate is also the founder of Total Wealth, a coaching and training company that helps people stop stressing about money and start experiencing abundance in all its forms. Creator of several wealth-related workshops, Kate assists people in reinventing their relationship with money from "love-hate" patterns to an empowering relationship. She sees money as a tool for personal and spiritual growth as well as financial growth, and has a knack for helping people get unstuck with the personal stuff (beliefs, emotions, self-sabotage) that keep them from moving forward. Additionally, as a Prosperity Economics educator, Kate delights in helping clients brainstorm solutions and action steps that are often "outside the box" of what is typically recommended. Kate is the author of the ebook, Break Through to Abundance, and the forthcoming books, The Financial Stress Solution and (with Kim Butler) Busting the Mutual Fund Lies. Kate lives east of Seattle and loves to hike in the Cascade foothills when she's not writing on her computer or helping clients.